The New York City Council approved legislation that removes an old requirement that transgender people undergo gender-confirming surgery before they can amend their birth certificates. New York City just made it easier for transgender people to obtain accurate birth certificates, as the City Council approved a bill today that will update current policies that trans advocates had lambasted as discriminatory and harmful. City Council members voted 39-4 (with three abstentions) in favor of the proposal, introduced in October by Councilman Corey Johnson. Mayor Bill De Blasio is expected to sign the bill into law, and the city's Board of Health is expected to adopt similar regulations Tuesday. Under the new guidelines, transgender individuals will no longer have to prove that they have undergone specific surgical gender-affirming procedures to amend their birth certificates to reflect their accurate gender. Instead, trans New Yorkers will simply need a certified letter from a physician stating that the person consistently lives in their authentic gender and that such a change to the birth certificate is warranted. 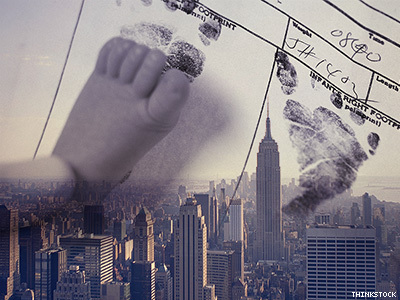 The state of New York passed similar legislation earlier this year, joining California, Iowa, Oregon, Vermont, Washington State, and Washington, D.C., as jurisdictions with relaxed requirements allowing transgender people to update their birth certificates. The New York City legislation came about after the Transgender Legal Defense and Education Fund filed a lawsuit in March 2011 on behalf of three trans New Yorkers who tried to obtain updated documentation, but were denied because they had not undergone the particular gender-affirming surgeries outlined by the city's regulations. "We are thrilled by the passage of this legislation," said TLDEF executive director Michael Silverman in a statement. "Today’s action will dramatically improve the lives of transgender people born in New York City. We thank Councilmember Johnson, the City Council and the Board of Health for taking action. The city’s policy served only to harm transgender people and they moved to change it. We also thank the many activists and advocates who have worked tirelessly to ensure that the city’s harmful policy will be changed."